August is upon us and the summer is winding down. While we're all trying to squeeze out the last summer month, I thought I'd post a few suggestions for picture books to share. Reading with your children (regardless of their ages) is so important! The ways in which it helps them are so numerous....not just for educational purposes, but in terms of emotional security and a sense of belonging, nothing can beat it! So here are a few selections for you to consider. Some are old favourites of mine; some are new; all are wonderful for the entire family. These are books that everyone will want to spend hours pouring over for their beauty and their storytelling. 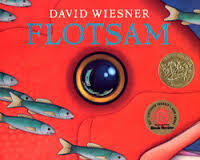 Flotsam by David Weisner: David Weisner is a genius! This tells the story of a young boy at the beach. He finds an old camera and develops the film inside. The story it tells is pure magic,and when the boy adds his own input...well, the story continues. forgotten by her family. So, she takes a crayon and draws a magical adventure all her own. Footpath of Flowers by JonArno Lawson and Sydney Smith: As a very distracted father and his little girl walk through the busy city streets, she gathers flowers along the way. Each flower becomes a gift for someone they encounter. Whether the gift is noticed or ignored, the impact of giving and receiving has a long term effect on everyone. How about some truly great stories now? Anna Hibiscus is so happy she doesn't know what to do with herself. The source of her happiness is all the people she loves, her grandparents, her aunts and uncles, her cousins...and they all have suggestions as to how she can express her joy. Her mother finally comes up with the perfect way for her to express her incredible happiness...with the perfect song! 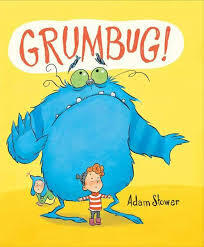 This book is filled with the sense of family and friends and everything life has to offer to make a young child happy. 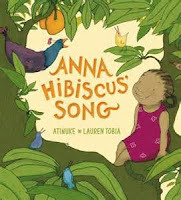 I love Anna Hibiscus. 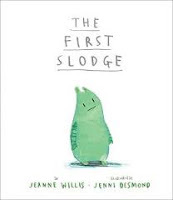 The First Slodge by Jeanne Willis: Once upon a time there was a slodge; the only slodge in the whole universe...so everything around her belonged to her. Until she meets another slodge, that is. Witty and unique story about friendship, sharing and the fact that the world belongs to everyone! Who doesn't love dinosaurs? And the dinosaur express is like no other train you've ever seen! 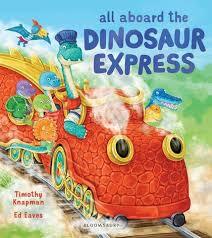 With a scaly exterior and doors that look like pterodactyl wings, all little dinosaurs climb aboard for a fantastic journey...and someone might even get to drive the train! Hungry the Chick decides to venture outside the hen run for some tasty grasses and seeds. But this is not a good idea. When Hungry finds himself in a sticky situation, he gets lost. It's nice to know that there is someone looking out for him. A highly anticipated new edition of this beautiful, exquisitely illustrated book is now available.Mowser the Cat lives a quiet happy life with fisherman Tom. But one night, this idyllic life is threatened when the Great Storm Cat comes clawing and growling at the harbour walls. Mowser and Tom brave the ferocious storm to discover it might just take a cats' perspective to tame the angry weather. Stunning and wonderful story for everyone. 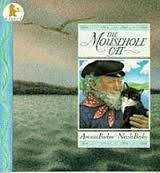 Any of these wonderful tales about Mr. Grinling, the old lighthouse keeper, is a perfect way to step lazy summer days. 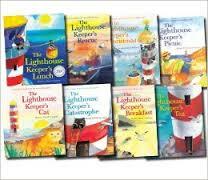 Now classic, these are some of my all time favourites about friendship, community, the seaside and, of course, lighthouses! So....there's a few for you! Enjoy! There are few writers today like Patrick Ness. His turn of phrase and unusual gift of expression create powerful, yet subtle novels for young adults. With his latest work, The Rest Of Us Just Live Here due out at the end of August, he has created a unique voice for the ordinary, everyday teenager. On the cusp of entering the adult world, a group of friends in a small town find themselves the unwitting background for the more dramatic, extraordinary lives of the 'chosen few'...those who have to fight off zombies or vampires or whatever threat of mass extinction is the current thing. This is the story of Mikey, a normal kid who, with his friends, just want to graduate from high school and do normal things before someone or something blows up the high school....again. These kids are just normal; well, everyone except Jared, who just might be a god or something.With some lovely nuanced passages with the very-much-in-the-background adults, comes an implication that perhaps these weird, earth-shaking events occurring in the lives of these ordinary teenagers have happened before; or at least something very similar. This is the story of us all. 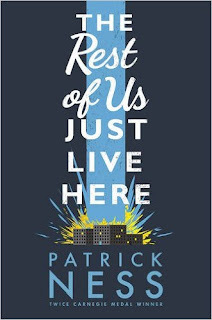 Told with compassion, humour and acknowledgement of the sheer frustration of just trying to get through life, The Rest Of Us Just Live Here is exceptional in a world of young adult literature that is becoming almost as confusing as those pivotal years themselves. With incredibly accurate insight, Ness has given a true and memorable voice to those not quite so memorable and he has done so with an insanely beautiful writing style and character portrayal. Not all of us have to be heroes; not all of us have to save the world, some of us are just collateral damage... the rest of us just live here. Summer holidays are well and truly under way. The kids are off school, summer camps are up and running, and people are stacking up on books to take on holiday with them...or to have for those days when you just want to relax. 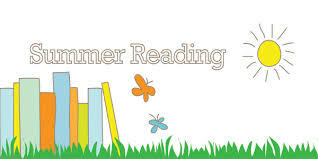 Reading in the summer months is so important for children of all ages. And summer is the time when they get to read for pleasure...nothing else. During the school year, there is so much emphasis on reading for school and too many children get the impression that reading is an 'educational activity'. While this may be true, reading is far more. It is an essential life skill. It increases your perception, shows you worlds you would never see otherwise, introduces you to differing concepts and ideas and reduces stress. Regardless of the genre, reading is a brilliant escape that gives you more than you could imagine. Here's a few suggestions for the summer months. 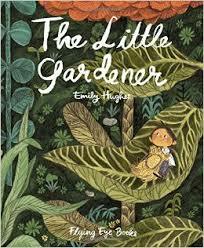 An enchanting story of a very small gardener who loves his garden very much. Lush illustrations by the creator of 'Wild' (one of my favourites) this is a tale of persistence and trying against the odds...and of an intriguing little world we might not normally notice. 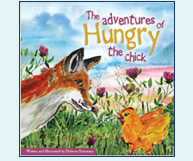 A picture book for everybody! While this book deals with the sensitive issue of losing a grandparent, it does so with subtlety and sensitivity. 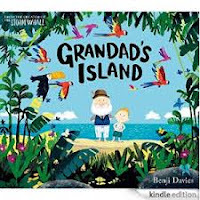 The story is beautifully illustrated, a young boy journeys to his favourite Grandad's Island, but Grandad can't stay...still the child can visit the island whenever he wants. 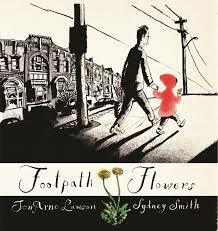 Fresh, quiet and not-at-all maudlin, a beautiful, beautiful picture book. Mabel woke up to an eerie silence. 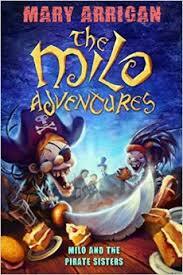 She has unwittingly committed 'The Deed' and gets herself kidnapped and bundled away on a pirate ship filled with bizarre animal pirates. On board the Feroshus Maggot, she is whisked off on the adventure of a lifetime! 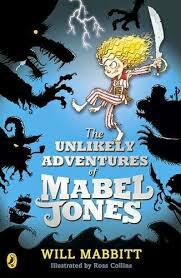 Gripping and hilarious, filled with danger and ridiculousness, you'll love this one! 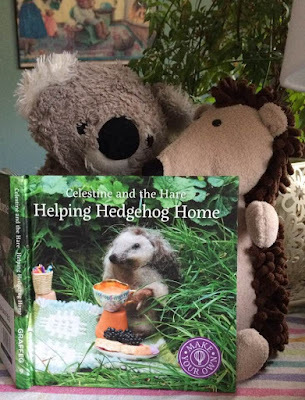 There's a review of this on the 'What Are You Reading' page and I've selected it for Dubray Books Childrens Book of the Month for July, so I won't elaborate much here. 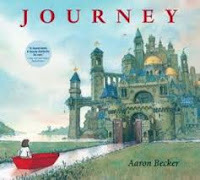 Just read this book, it is beautiful, dreamlike and exceptional in every way. 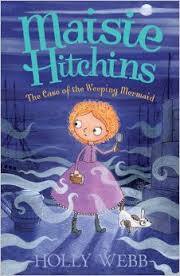 This book has absolutely everything a young reader is looking for...and most adult readers, as well. 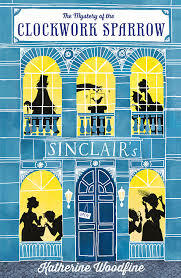 Sophie Taylor has landed a job at the posh, elaborate Sinclair's Department Store. How lucky she is for a young woman in her predicament! But the evening before it's grand opening, one of Mr. Sinclairs' most precious display items, the famed Clockwork Sparrow is stolen...and Sophie finds herself accused of the theft and in serious jeopardy. A real, good old-fashioned 'who-dunnit' style mystery with hints of Sherlock Holmesian style detecting...you'll love it! 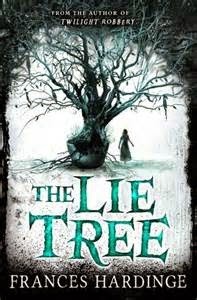 The complete review is available on 'What Are You Reading', but in sort, a brilliant gothic-style horror combines with family drama and historical fiction for a truly exceptional, chilling, gripping read. It's the accident season, the same time every year. Bones break, skin tears, bruises bloom. 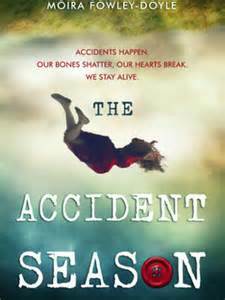 The accident season has been part of seventeen-year-old Cara's life for as long as she can remember. 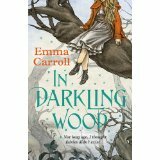 Towards the end of October, foreshadowed by the deaths of many relatives before them, Cara's family becomes inexplicably accident-prone. They banish knives to locked drawers, cover sharp table edges with padding, switch off electrical items - but injuries follow wherever they go, and the accident season becomes an ever-growing obsession and fear. Oh my god! Read this book! Compelling, obsessive, takes place in Galway…a furtive and obsessive look at a supernatural/psychological situation that keeps you hanging. I cannot recommend it for anyone under 14, but wow! A bold and brilliant novel about love, lies and redemption, from award-winning author, Jenny Valentine – one of the greatest YA voices of her generation. 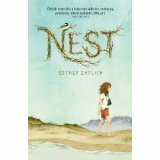 Iris's father, Ernest, is at the end of his life and she hasn't even met him. Her best friend, Thurston, is somewhere on the other side of the world. Everything she thought she knew is up in flames. 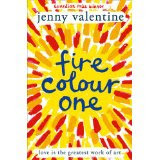 Jenny Valentine is incredible; an unquestionable favourite of mine; and this one, long-awaited, is pure gold-dust. A novel about deception, family, loss and recovery…and taking control of your own life. Warning: contains acts of arson. I loved it! Okay, that's a few...as per usual, I'll be back. Enjoy!